Illumination Night 2017. 8/4/17. Ocean Grove. Paul Goldfinger photo © Click to enlarge. 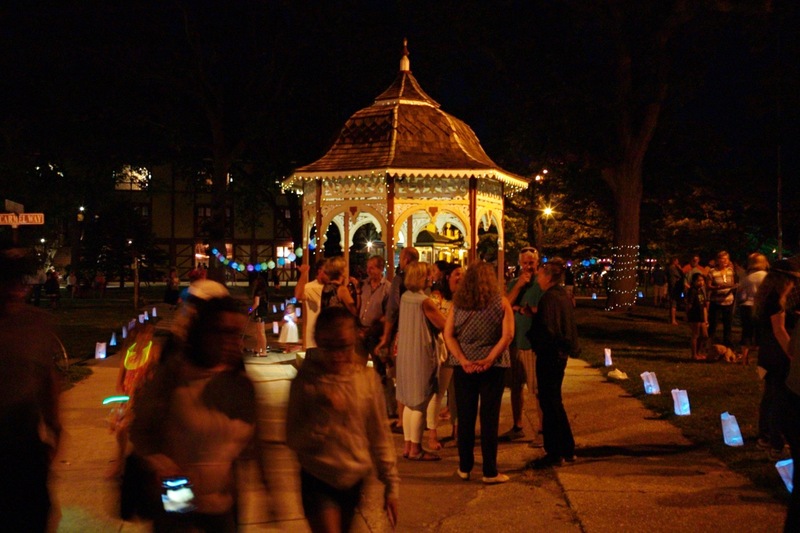 This is the third time that Illumination Night, of modern times, was held in Ocean Grove at Auditorium Square Park. It lasted from 8 pm to 10 pm, and the good news is that a fairly large crowd (perhaps 200 people or more) was present indicating that the town needs more “down home” outdoors community events for those who live here and/or vacation here, in the summertime. What we have now in town (putting aside the plentiful CMA religious-based activities ) are the varieties of eating parties: fish and chips, BBQ, and ice cream plus the sheer joy of the postcard show and the musical pleasures of the Summer Band concerts. The Township takes no interest in promoting community pride and cohesiveness for residents through Ocean Grove events, and neither do the organized OG groups such as the Home Groaners , the Chamber, and the HSOG. 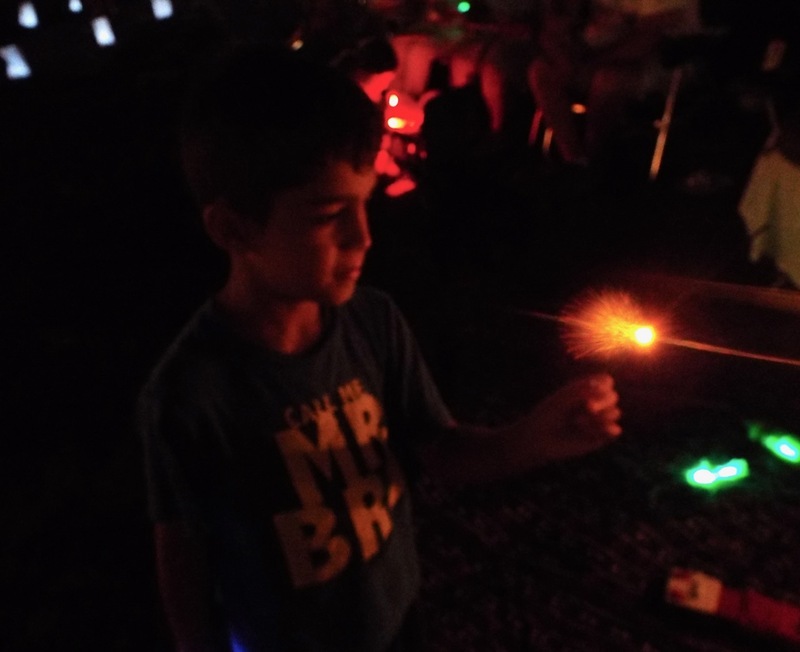 But the CMA came through with last night’s event, and the attendees, people of all ages, seemed to have a good time. The crowd was busy lining up for food (at a price) while listening to music which was fairly subdued. It was difficult to see the food in the dark. The kids were having a good time running around wearing glowing hoops, and many chat groups formed of people who seemed to know each other. Some brought chairs while others ate while sitting on the steps of the Youth Temple. One surprise bonus was that the Auditorium was open, and visitors could walk in and sit down—a real treat because Gordon Turk and Maestro Jason Tramm were rehearsing the Ocean Grove Choir. The funny thing is that this Illumination Night was barely illuminated. It was dark once the sun went down. 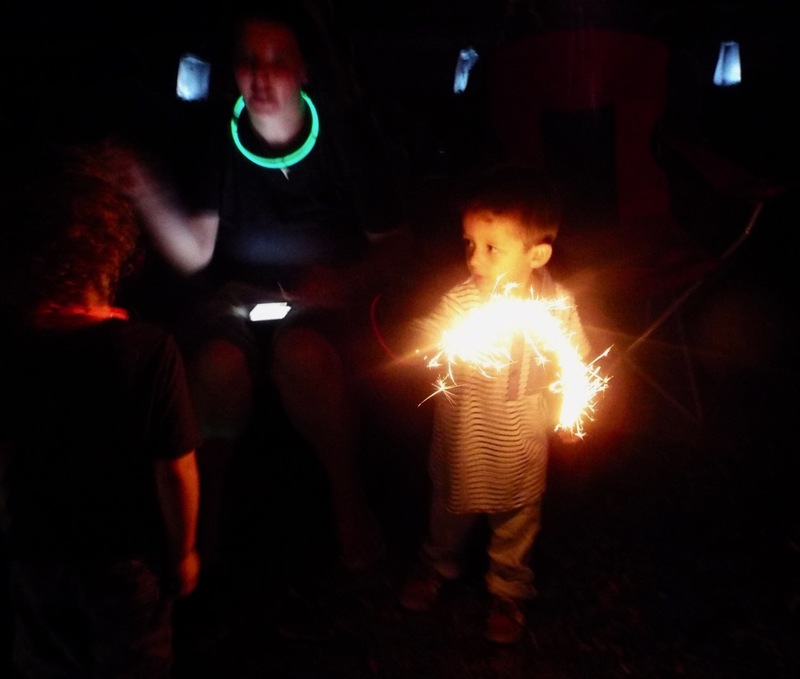 Why are we having an illumination party in the dark? There were no organized events, unless you count milling about as a special activity, and there also were the few couples who were attempting some slow dancing to a missing rhythm. What this Illumination Night needs are more lumens, a happy, lively band that is totally awake, and some organized events, at least for the kids. OG kids glow in the dark. Jean Bredin photograph © 8/4/17 Blogfinger.net staff. C’mon lady, light my fire! There is no historic precedent that would guide how such an event should be done. In OG it has always been sponsored by the CMA, but the modern-day model seems to be improvised by the staff at the Hub. There was no Hub in the 19th century. Back then, the OG version was a water park celebration with many brightly lit boats floating on Wesley Lake and with thousands of people standing by on the shores. 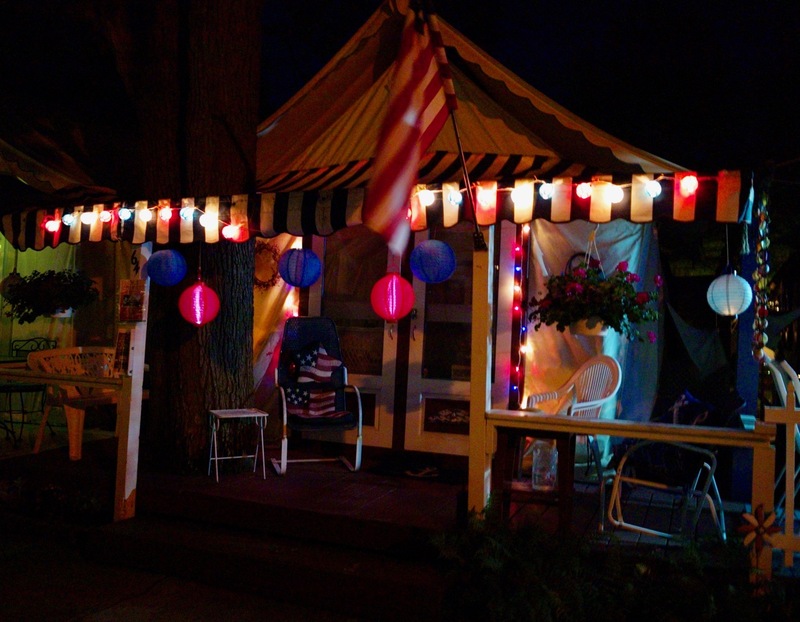 In Martha’s Vineyard, which is the modern prototype, they still look forward to gathering in their Tabernacle and having a sing-a-long with a vociferous band and mostly patriotic music. Illumination Night. Oak Bluffs, Martha’s Vineyard. Pinterest photo. 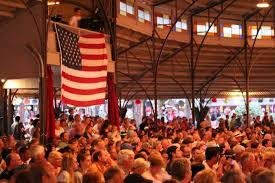 There is no religious component in Oak Bluffs as there was last night with a Christian band performing in that genre. 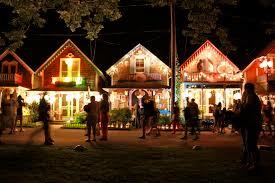 And the Oak Bluffs decorations are bright and plentiful, and they even have a tradition of turning on the lights while everyone oohs and ahs. They leave their decorations up for two weeks, and that is probably the only tourist based activity in that lovely residential town. 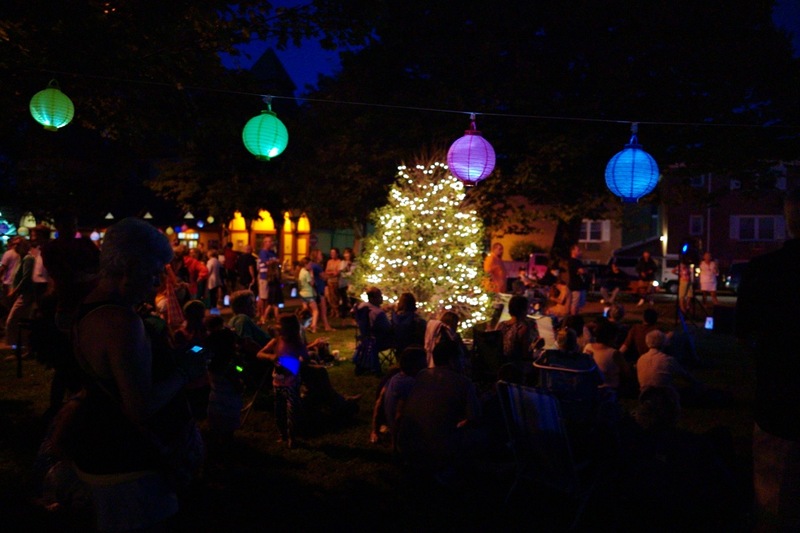 The 21st century version in the Grove, based on 2016 and last night, seems to be successful despite itself, indicating that demand exceeds the supply of festiveness for Illumination Night in OG. So perhaps the CMA will try to add more life to the event next year, taking advantage of all the evident community interest. How about a suggestion box at The Hub and a better budget for lighting the park? How about some comments here suggesting ways to improve this worthwhile summer event for 2018. The first Illumination Night 3 years ago was held at the Hub…Sweet and Simple.. A Country and Western singer off to the side. …Kids selling cupcakes and painting lanterns. Because of its popularity, the small crowd has swelled into multitudes…I can’t even fathom how many will turn out next year..
My only issue was that the Illumination Night was not Illuminated enough. I had trouble seeing, checking the ground, to make sure I wasn’t going to trip over people on blankets…but it was fun, and the Sausage Sandwich I ate was delicious.